It is our pleasure to connect with each of you at this time. We are the Unified Whole Command of the 144th Dimension of Light with Master Thoth, Master Einstein, and The Great Divine Director at your service. We know that each of you is feeling the intensified energies coming into the planet at this time. We also know that you want to know when it is going to change so that GAIA and all her inhabitants can be more restful with peace within their hearts. Please know that this transition you are experiencing presently is probably at the height of what you have experienced within the planet. The density that you are experiencing is due to the fact that each of you are assisting greatly with the re-structuring of the planetary system even though it feels like everything could fall down at any moment. Please know that this is not entirely true but it may be the feeling that comes into your essence at times. The Galactic wars are ongoing presently as the past three months since the onset of this year has been tremendous. We know each of you is experiencing it in your own lives, your dreams, your thoughts, and your emotions along with the environmental changes that have been occurring. The Christed Galactics are working very diligently through Ashtar Command to assist in holding the darker energies from ensuing within the planet. Some of these energies will filter down into the planet’s surface causing great disruption in the minds and hearts of every individual at this time. It is a very difficult situation that we have all been facing. At this time there is barely one week until Spring Equinox in which the planet will be infused with the great light infractions it has ever received and will go beyond what we experienced in December 2012. So until that time occurs, the density that you are feeling is representative of the war that is being fought outside the hemisphere of the earth. Each of you stand as a Light Worker to fully hold as much light as you can and we thank you deeply. But there is more to this event than can be told presently as every thought and emotion that is ignited within each person presently is being magnified through the waves of electro-magnetic currents within and around Gaia. Haven’t you noticed how intense your thoughts can become in a moment’s notice? And, when you take care of that disruption, then the peace does come into creation. This is exactly what is occurring. The light thoughts are being magnified just as much as the dark thoughts. This is due to the war raging outside the planet. What is being felt around the structure of the planet is being felt inside the planet. This is all due to the aspect of coming into Oneness. The reverberations of each of the thoughts forms is being felt and bounced off of every living species around the globe. This will continue until the 20th of March at 16:57 UTC when the light infractions of the Spring Equinox will then be implanted within Gaia. It is at that time that whatever the percentage of light and dark that is being encountered through global awareness will be felt on the base of the planet. This means that every person is responsible to extend their energies into a higher existence so that others will feel the same. We want everyone to understand the urgency of this occurrence. Whatever the global consciousness is experiencing at this specific time of the equinox will determine how much light or dark is infused within the planet. We do not want to alarm you, but prepare you to be the Light Worker that you are. It is imperative that you stand in the highest level of acceleration that you can acquire during the next week. You are the Torch Bearers and hold the light for many; you have decided to arrive on this planet at this time for this reason. It is imperative that you understand completely what your role represents. Each of you has arrived with your baggage intact; some of you have healed a lot of this debris, but yet there is still a very long way to go together. Think about how much healing you have gone through and then reflect on the planet as a whole. We have a lot of work to do together. Your role presently is to take your energies into a higher existence, release what does not work for you any longer, be diligent with your studies, and understand yourself more clearly than ever before. 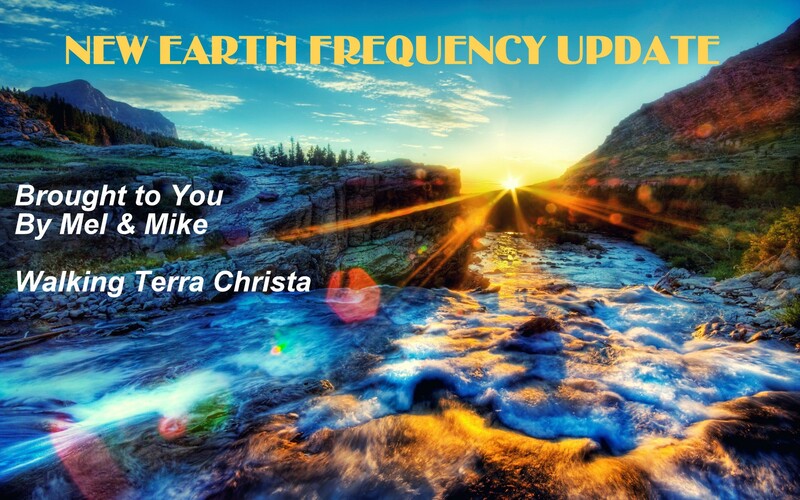 Take this time in the next few days to prepare for the Light Frequency of 2014 to be infused within the planet. Your role presently is just standing in your own power. Learn more about who you are and remove the parts that do not exist any longer. Be strong and healthy in all ways of your Divinity. Stand up to the darkest parts of your soul and command the Light to be within them. Utilize the Rays of God and each of us to help you. You are not alone in this quest but you stand in the forefront to be more to yourself than you ever thought possible. We are standing at the break of a new dawn upon this planet and this is just our raw beginning together. But without your diligence within yourself, it cannot be done. The power of these energies is being shown in the weather patterns and how people are being affected which are mainly the unawakened ones. Work with us so we can help Gaia ascend just as you want to do. The New Earth is still a long way off, but this year represents the doorway of Light coming unto the planet and into the core of her Being. Let it come into the Core of Your Being. Be strong as the energies are intense. You are going to be feeling moments of dizziness as the energy comes within you. Your masculine and feminine bodies are being prepared to receive more. So it is imperative that you work with the issues that may be in both. Unity is our way of Being presently and it starts within the physical body for each of you. Alignment of the Self is important as what is not in balance will be reflected within your world and then upon the Earth. It is all so very simple. This is the Year of Unity; it is not just a consciousness. It represents all elements coming into alignment of one another. It must start with your emotional body and mental body and represents the 2nd and 3rd initiations of ascension. Ask yourself if you are ready to make the necessary changes within yourself. If you are not, then you are still part of the third dimensional programming that needs to be readjusted. We are here to assist in the formulation of Light within each of you and upon Gaia. You are here to ascend in your physical bodies and hold the frequency of the electromagnetic currencies within you. Be strong and remove the old as you prepare for the New. We honor you and cherish all that you endure each moment in your lives. Master Toth, Master Einstein, and The Great Divine Director as Spokes-Beings of the Source of Oneness.